Protect your investment. Secure your trampoline to the ground. 4 large, heavy-duty "cork-screws" twist into the ground each connected to a sturdy strap attaching to the frame of the trampoline. Increases safety and peace of mind. "I'm just happy it didn't become a missile like every other trampoline in my neighborhood." "I just wanted to tell you how incredible your tie downs are. I live in Tulsa and my house took a direct hit from a F1 tornado early Sunday morning. 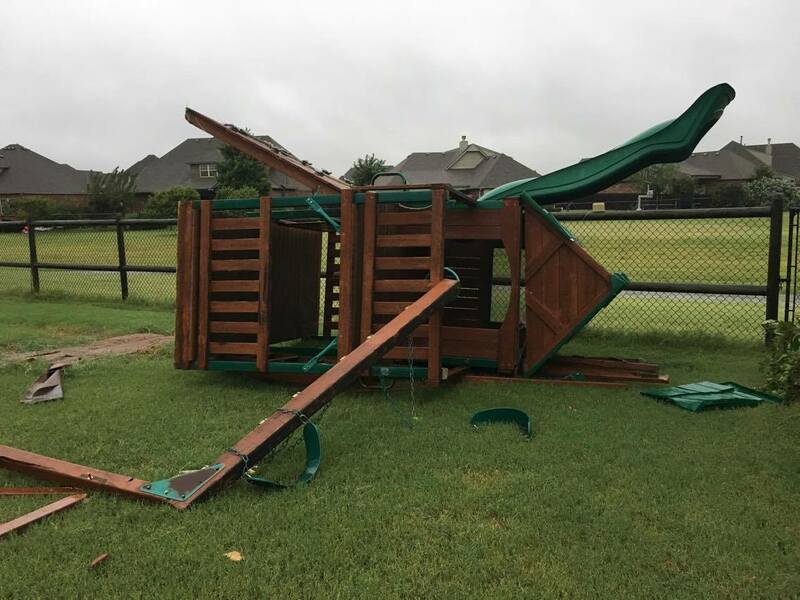 My roof is totaled, my fence is knocked down, my huge play set that was right next to my trampoline was picked up and flipped, my neighbor's chimney was sucked out of their house, and another neighbor had his roof ripped off down to the studs. My trampoline didn't budge. 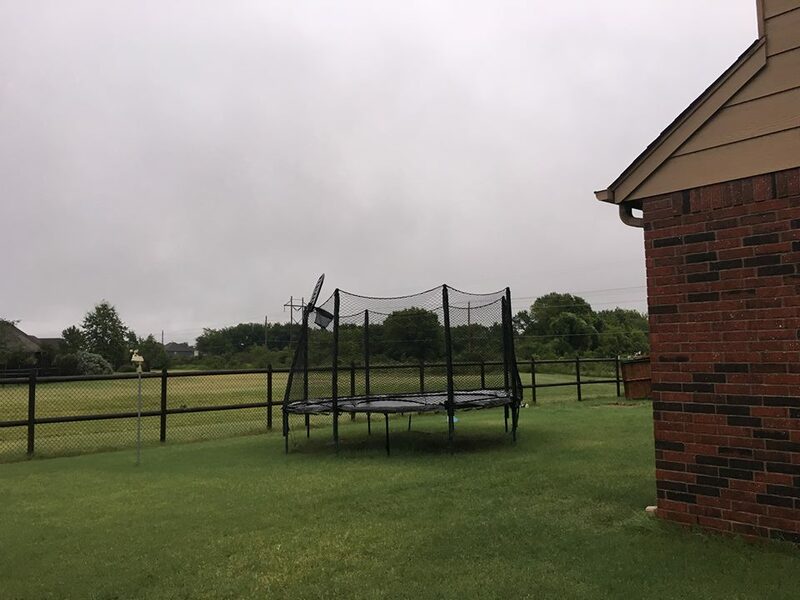 Unfortunately the post that has the basketball goal on it bent, but I'm just happy it didn't become a missile like every other trampoline in my neighborhood. The tie downs were bought and put in the ground four years ago. We bought new ones yesterday because we figured those have definitely served their time! Thanks for having reasonably priced tie downs that not only look good, but work beyond my expectations." Trampoline cross training and expand possibilities! 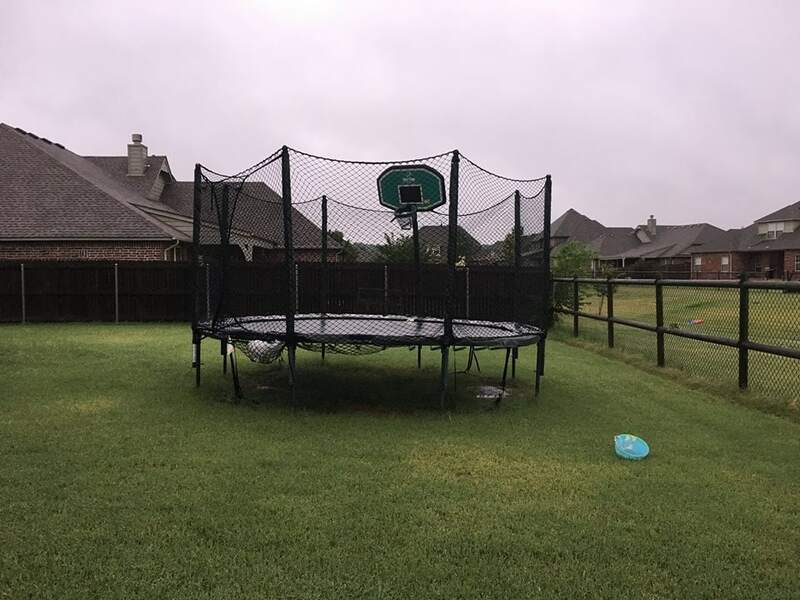 Jump big and put your mind at ease knowing your trampoline is surrounded by a JumpSport® safety enclosure!